Twitter is still a very useful, easy to engage with your audience on social media channel for brands. 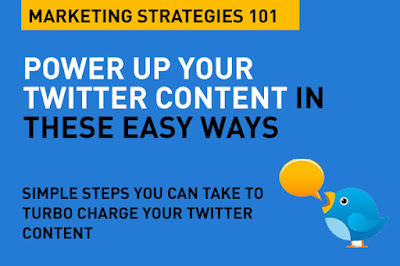 Here are some simple ways to power up your twitter content. Twitter's mission on their website is: "To give everyone the power to create and share ideas and information instantly, without barriers." How do you use that power? Twitter just a couple of weeks ago switched its position from social network to 'News' on the App Store. While most of us can understand the new position – micro-blogging platform Twitter will no longer fight for pole position with the likes of Facebook on the Apple App Store. Twitter is well known for real time news feeds and events and unlike Facebook, it is preferred less when it comes to keeping in touch with friends. Read more here: With Twitter now positioned as a News App – and not a Social platform – how should brands react? First of all, you should have a well spelt out Twitter strategy for yourself or your brand. 1. Tell stories. Don't sell. Remember that good Twitter is about a narrative – a story. And your story, sometimes, even more interesting if told over multiple tweets. You don't have to tell your story in a single 140c tweet. Giving people something to look forward to is more enticing – use that technique cleverly by building anticipation. 2. Beyond 140c. Use visuals, use video. Engagement on twitter improves with graphics, images and video. If you're going to really tell stories, don't ignore the power of multimedia content. Today's connected consumer is looking for visual enhancements in all social conversations. Your target group on Twitter is likely to belong to a visual generation. Use added media such as images or short videos to support your tweets and attract people’s attention. Twitter's updated feed shows expanded photos in the timeline, instead of cropping them. Use that space to tell a more enhanced and enriched image-powered story. You can also use the GIF button to add some movement and fun – Twitter provides an amazing array of ready GIFs you can use. Twitter by itself is pretty powerful, but when you add well designed graphics, beautiful images, or a consistent style of visuals – it just ups the game a lot more. Unless you're a mega brand or a huge personality with hundreds of thousands of followers, playing the team game helps. Find topics of common interests (use those hashtags) and support related content. This can be from reporters, from influencers and from tweeps who post on topics that are related or of interest to your followers. Tweet your posts to journalists and bloggers and retweet their stories—adding commentary – making it relevant to your own story line. This helps because in turn, they end up helping your content as well. Posting or tweeting consistently, and regularly is key. Follow a schedule, stick by it. Your followers will get to expect it at that certain time of day, or day of week. Track every tweet that you have posted. How did they fare? On which day did your tweet reach more people? If you do't have the tools to measure and monitor use a simple one like Tweetreach. You need a fair idea on how you are doing – getting which ones right, and which wrong. And track timing. This is critical. Monitoring your tweets’ performance will give you insights into your Twitter strategy, and your audience’s preferences and motivations of engaging – and what they basically want to hear and know about – and when. Adapt. 'Tweaking your tweeting' as you learn helps your brand consistently perform, engage better, and have loyal following. Twitter is all about the here and now, so you can't keep tweeting about your brand, for your brand or product while asleep at the wheel. Stay on trend. Be aware of what the conversations are about and see if there's a fit. Tweet on those. And use those hashtags to invite user generated content. This doesn't mean you try and hijack trending hashtags. No point on tweeting about hot trending global topics unless they mean something to you. Geo-fence your strategy. Your topics have to be in context and be current. No one likes yesterdays news other than fish-and-chips shops. 7. Provide value in your content. Give something away. Always give something away in your twitter content. If it's a story, make sure it at least has entertainment value. And for your brand or product the tease-and-reveal works well. If you are just "selling product benefits and features", you are not really going to get much interest in your tweets. Try and provide tips, useful information, useful links, re-shares of stuff that's relevant to your genre but not necessarily about your brand. Value is about knowledge, news, information. Have special offers? Twitter is the place to put those out. Remember that Winning Content Strategy paradigm: Always share something valuable and useful. • 83% active users on mobile – make sure your content is mobile friendly. There are many other ways to boost your twitter content, but these are easy ones for you to start with. And that's the basics. That's Digital Marketing Strategies 101. Simple and easy reminders. With most people thinking that Twitter is fading out, this post is very useful as a reminder that the social media channel may be changing its algorithms, its character limits, but it is not going away soon. Not sure how the suggestion"Engage influencers and journalists" works. Haven't seen too many journalists who help the brand in return as a favour. Thanks for the TweetReach by Union Metrics shoutout in this. We appreciate it!